Brazil. The word alone conjures up an image of exotic beauty and tropical glamour. Say ‘Rio de Janeiro’, and it invokes an idea of sunshine, sensuality and the fabulous. 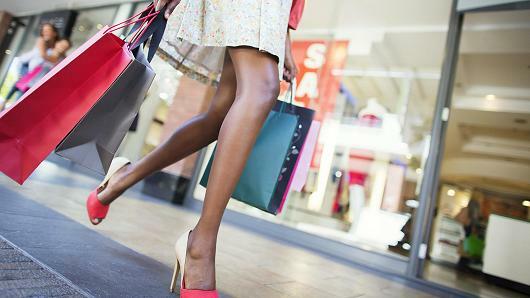 But in a city of nearly 6.5 million residents, it is difficult to know where one would go to experience what a Brazilian woman treasures- an afternoon spent shopping. Come with us as we take you into the world of luxury shopping in Rio de Janeiro. If Paris and Rio had a fashionista baby, Animale would be her name. Luxury Shopping in Rio is not complete without a stop here. With its beautiful blend of fabrics and colors with European cuts, the clothes are not flashy, but incredibly interesting. Adorned with these trends, you will mirror the ads in Brazilian Vogue. Shopping Animale’s collection of leathers, suedes, rich tones and muted patterns, it is obvious to see how this luxury shop continues to make the best-of list year after year. 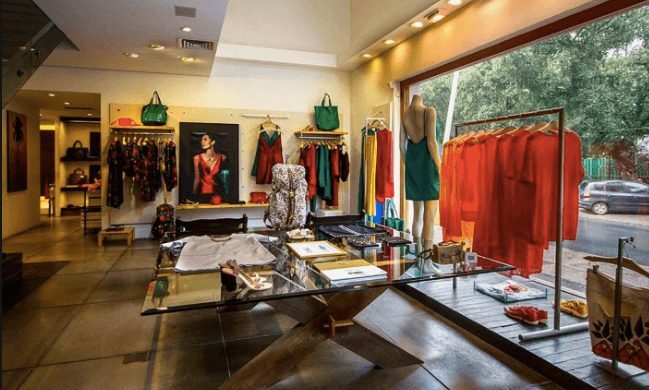 This quintessential Brazilian shop embraces the images conjured up when one thinks of Brazilian fashion: fabulous colors, intricate patterns, and the one-piece jumpsuit. What Totem does best, is make classy and feminine Brazilian cuts, that even wear well abroad. For an added treat, all garments purchased come in a reusable tote bag in one of their classic Brazilian fabrics. Designed in Rio de Janeiro, Osklen creates this city’s best pós-praia* wear. There are two shops under the brand: one that specializes in beachwear and one that specializes in streetwear. The fabrics are flirty and the trends are ultra-modern. Be sure to check out their luxury line of leather Brazilian purses and shoes. Rest assured, outside of Brazil, you will be the only one in the room sporting them. There are a plethora of luxury Brazilian black-tie affair stores in Rio because the occasion often calls for one. I find most too ornate for use outside of South America. However, Le Lis Blanc is one of these exceptions. The shop is separated into colors. If you have already earned your holiday tan, you can peruse the tropical tones. While those at the beginning of their trip can migrate towards the more neutral tones. They also have a great home collection, for those ‘conversation starter’ pieces. From shoes to purses, day to night wear, Carmen Steffens has it all. Luxury shopping in Rio, São Paulo, even Brasilia, all involve this designer. As seen on the bodies of Rio’s fashionistas, socialites, and models, this luxury brand is one of the country’s best known. For the hottest in Brazilian design, this shop will never fail to bring you what is trendy both on the streets and in the magazines. If Giselle Bunchen is the spokeswoman, you better believe that the ladies will follow suit. This is as Brazilian as one gets for leather sandals and the perfect matching Brazilian handbag. Arrezo is the store, the knock-off shops downtown emulate. While seeping slowly into the International market, Arrezo remains at the top of our list for luxury shopping in Rio. Offering a more exclusive line of shoes, Velleno is not on every corner; but, those in the know simply adore them! They are not your classic, ultra-feminine shoe. Velleno has a style more ‘summer in the South of Italy’, then your typical fluorescent Zona Sul* sandal. As in most things fabulous in Rio, ask a local where to find them. 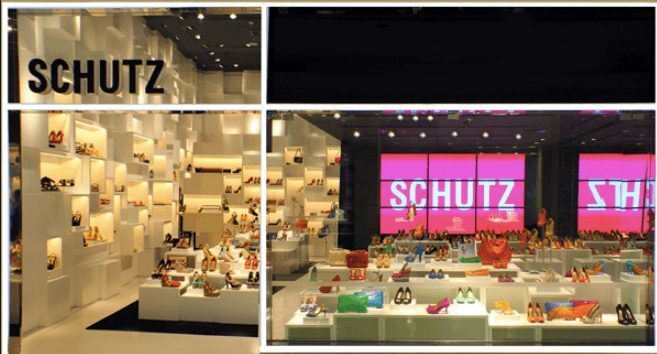 Quickly becoming an International luxury brand, Schutz is what you want on your feet for that ultimate Brazilian night out. These shoes could not make your toes look more gorgeous! If you are shopping here, you are in with the who’s who of Brazilian shopping. They come in all your basic colors, making them an appropriate footwear accessory whether you are at a restaurant in trendy Leblon or a nightclub in Tokyo. Rio de Janeiro is not about the obvious. So expecting a single street with designer after designer lined up showcasing their beautiful goods is not what you will find. Rather, grab a local guide or take your time and explore the side streets of Ipanema and Leblon to get your luxury shopping in Rio fix! They are out there ready for you to try on this season’s most gorgeous pieces.